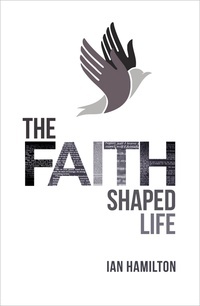 The Christian life is a faith-shaped life. Faith is the instrument that unites us to Christ, but it is also the reality that shapes how we live in union with Christ. From beginning to end, the Christian lives by faith. The life of faith is not easy. The Christian is engaged in an unrelenting warfare with the world, the flesh and the devil. Every step forward will be contested. The one thing that will keep the believer on track and pressing on is moment by moment trust in God, in his Word, in the goodness and perfection of His purposes, and in His exceedingly great and precious promises. This is the victory that has overcome the world - our faith (1 John 5:4).